Hanging beneath the old Frisco Bridge is a sign that has baffled me for two years now -- ever since I discovered it during one of my drunken "explorations" (I was looking for a shortcut to West Memphis). But as you can see from the scan, a bright red metal sign dangles from the underside of the old bridge. Neatly cut into the quarter-inch steel are the words "S.L. 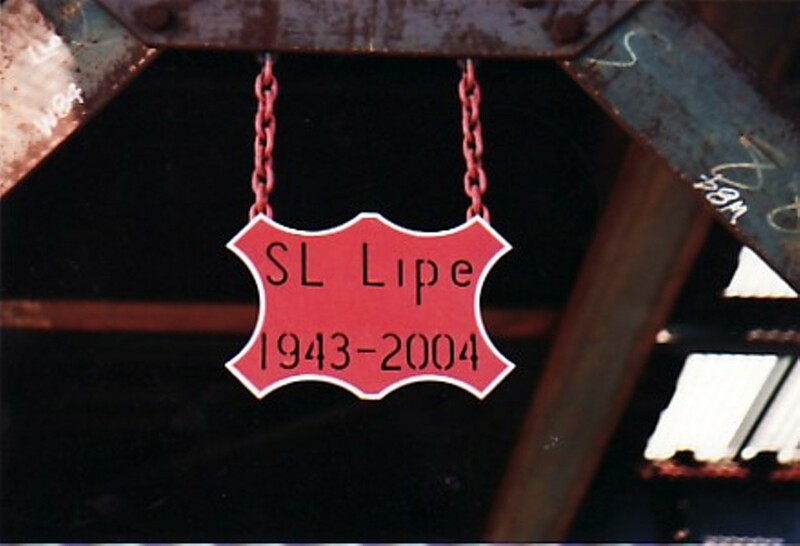 Lipe 1943-2004." Get to the bottom of this and other Memphis mysteries at Vance Lauderdales' "Ask Vance" blog.